Praise for the series: "[A] richly detailed portrait of self-righteous villainy." --Ken Tucker, "Entertainment Weekly" ""Sons "may be as busy as it is brutal . . . its heartlessness is in the right place." --"TV Guide" "Compelling." --"Variety" "Engrossing." --"Chicago Tribune" Praise for the series: "[A] richly detailed portrait of self-righteous villainy." --Ken Tucker, Entertainment Weekly on the series "Sons may be as busy as it is brutal . . . its heartlessness is in the right place." --TV Guide on the series "Compelling." --Variety on the series "Engrossing." --Chicago Tribune on the series [A] richly detailed portrait of self-righteous villainy. "Ken Tucker, Entertainment Weekly on the series" "Sons "may be as busy as it is brutal . . . its heartlessness is in the right place. "TV Guide on the series" Compelling. "Variety on the series" Engrossing. "Chicago Tribune on the series""
A fully-authorized novel of the popular television show Sons of Anarchy from creator Kurt Sutter This is the first ever Sons of Anarchy novel that ties directly into the smash hit FX television show (now heading into its sixth season) about everybody's favorite American outlaw motorcycle gang. The story follows the Teller-Morrow family of Charming, California, and the Sons of Anarchy Motorcycle Club, Redwood Original (SAMCRO), which protects Charming from rival clubs and gangs that threaten the town. 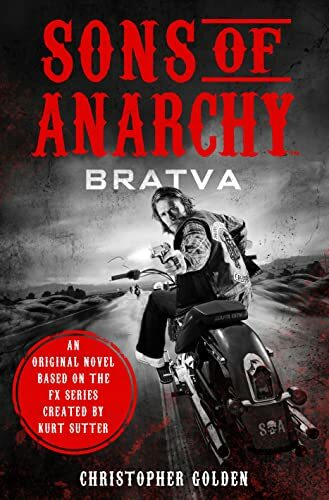 Series creator Kurt Sutter tells the continuing story of Jax Teller, the current president of the club, as he navigates the fraught world of alliances and betrayals within SAMCRO and within the town of Charming itself. Shocking secrets and devastating twists that tie in to the show will be revealed in this officially authorized companion novel.